Why Should We Teach Programming? 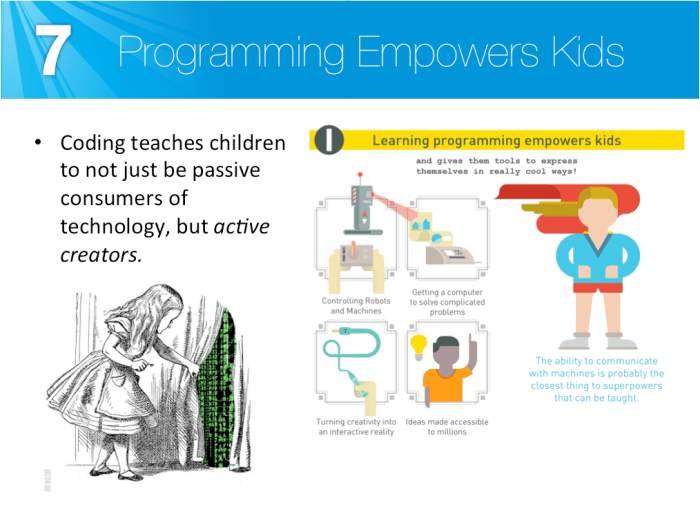 The images included here are also part of a PowerPoint you can use to help explain the value of programming to fellow educators, parents, and students. Programming Help Wanted! We NEED more young developers to help program all of the flying cars we will have in the future! 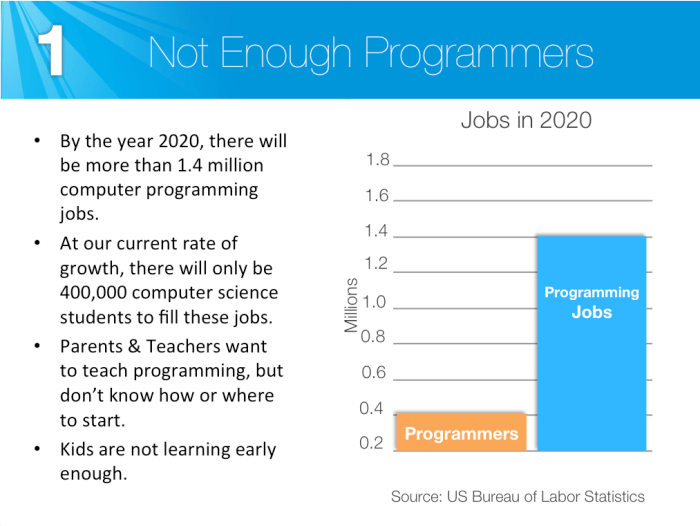 Currently, students and adults with programming abilities are a hot commodity, and all signs suggest that there will be an even higher demand for their abilities in the future. Just to be completely sure, I consulted my Magic 8-Ball and asked, “Will there be more opportunities for Computer Science Students in the future?” The answer? “Without a Doubt.” If you don’t believe in magic, allow some more of these statistics convince you. As our world continues to turn to technology more and more each day, it becomes increasingly critical for students to possess a programming education. Not every student needs to become a computer programmer. 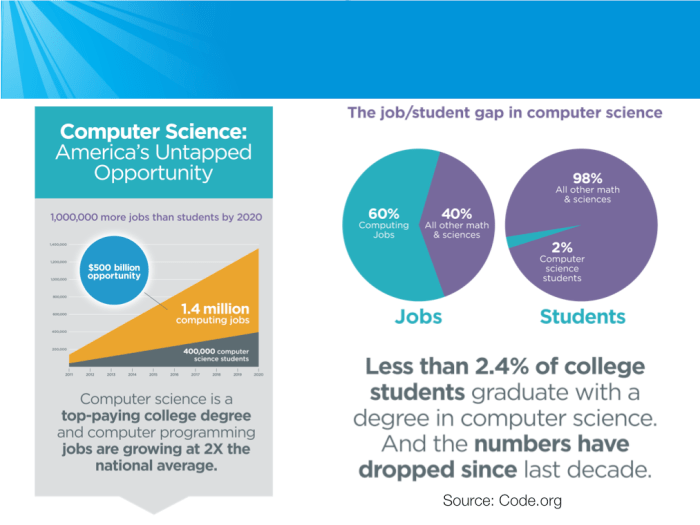 However, statistics demonstrate that a background in computer science will be an enormous asset for the future in ANY field. 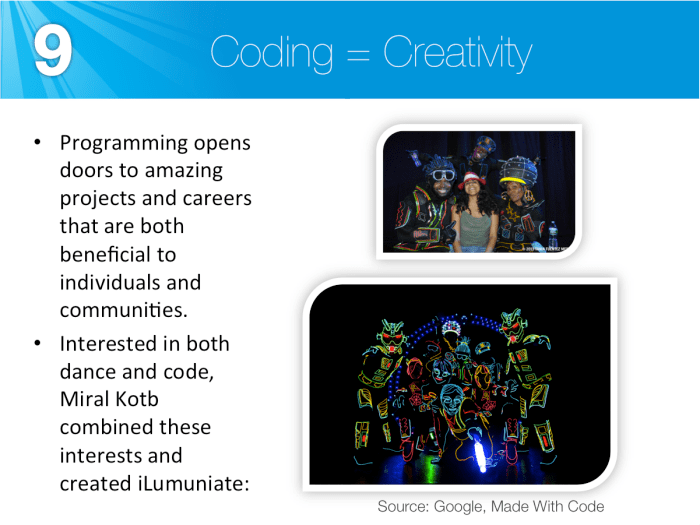 Millions of kids are already coding and creating amazing things at this very moment. 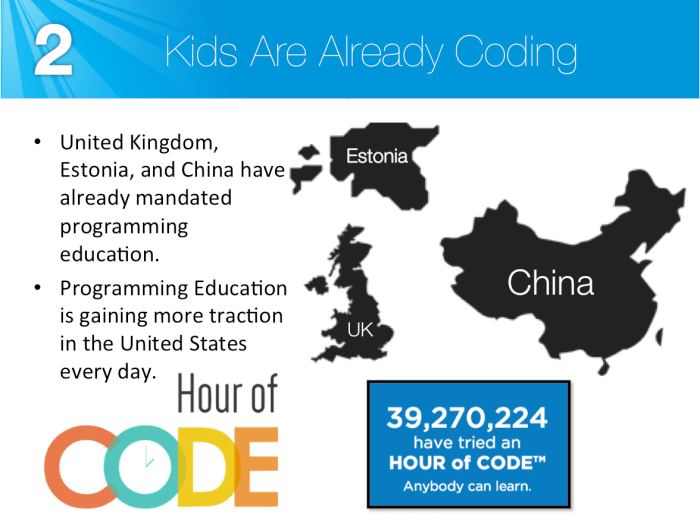 Estonia, China, Britain, and other countries require every student to be introduced to coding. Sometimes, peer pressure can be a positive thing! Like many basic skills, it is best to start teaching children to code while they are still young. Trust me, they will thank you later! 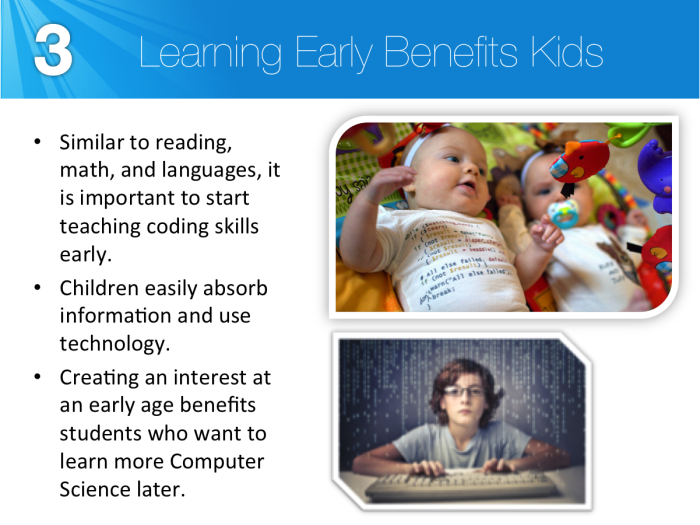 Amazingly, Child Development Research demonstrates that children can learn the fundamentals of coding before they can even read! 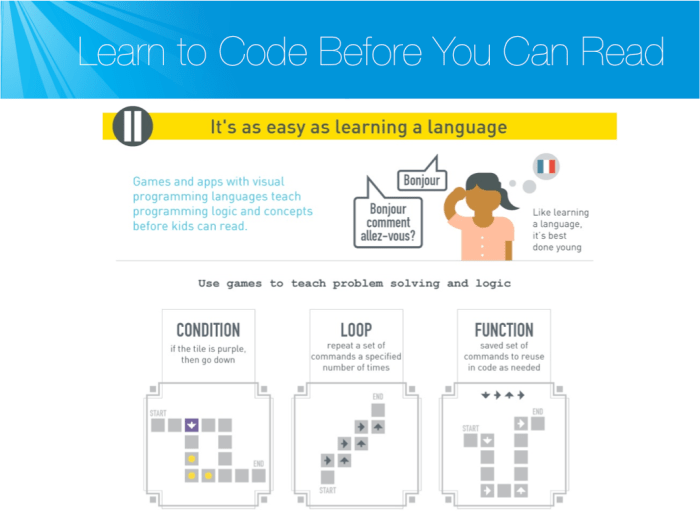 While programming may seem enormously complicated to many adults, similar to a foreign language, kids can absorb and retain new information at an amazing pace. Additionally, the skills that young children pick up through practicing basic programming skills will help them in a wide variety of subjects. Programming is like an easygoing friend that gets along with everyone. 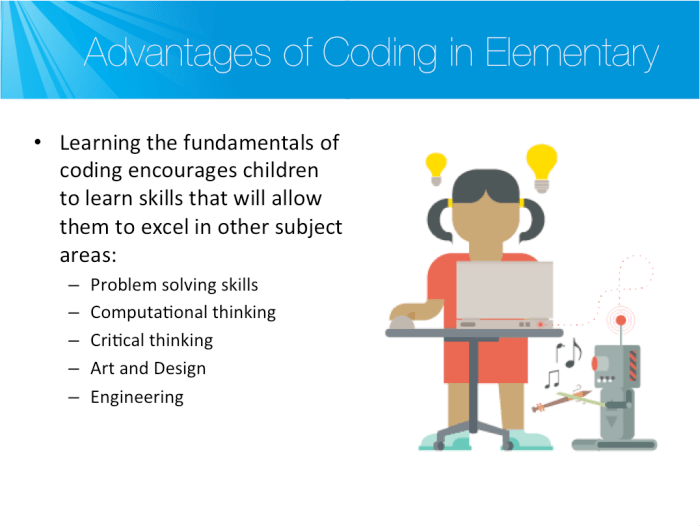 Always flexible, coding can be integrated into a variety of different subjects. And the best part? 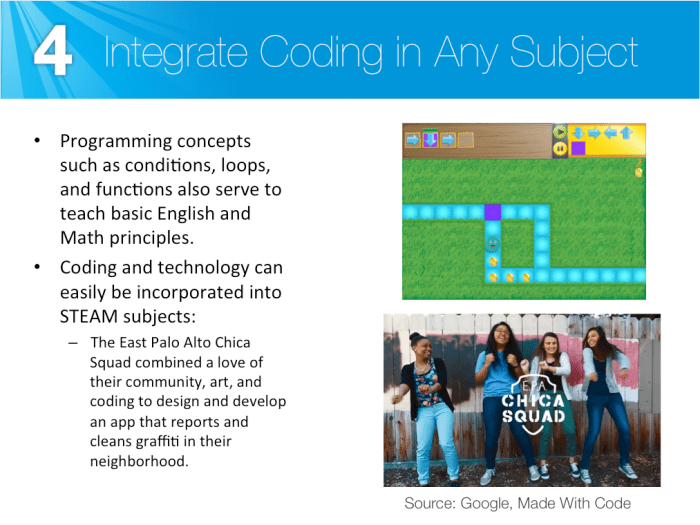 Programming can help serve as a bridge to connect students to their community. Just take a look at the East Palo Alto Chica Squad below. 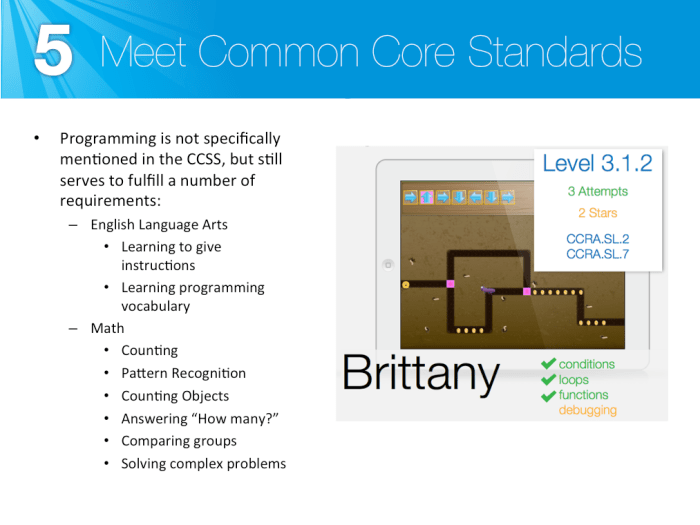 Coding can also be used to satisfy a number of CCSS standards, providing you with an engaging, valuable, and easy way to fulfill curriculum requirements! FALSE! Programming is an extremely social activity, and encourages students to work together in order to plan, develop, and problem solve. 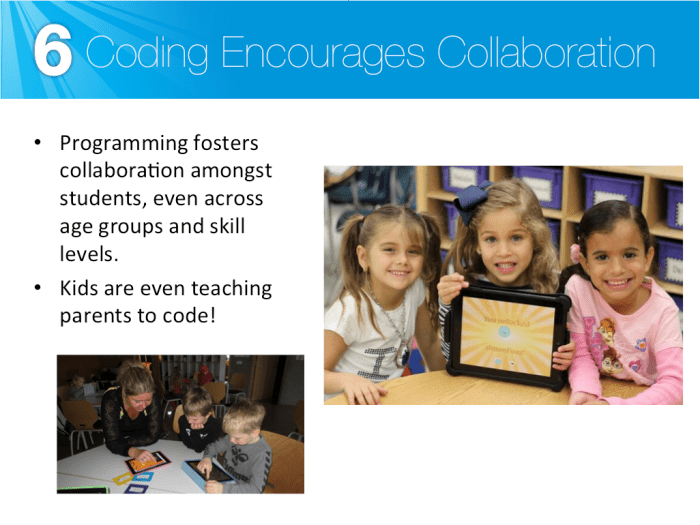 Just ask any class that has practiced Pair Programming! As a child, I used to wonder what it would be like to possess a superpower. Little did I know, all I had to do was learn how to code, and I could have an impact on the world around me! Don’t just teach children how to interact with technology, but educate them on how to create with technology. Can I trust you to keep a secret that might anger a few professional programmers? Are you ready? Coding is not THAT difficult! Phew, I said it. Seriously though, anyone can learn or teach basic computer programming skills with a little effort. 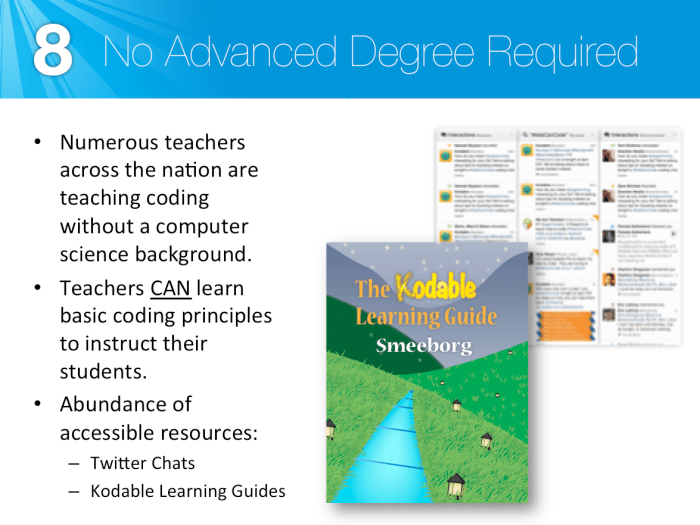 Join in the growing community of educators teaching kids to code. 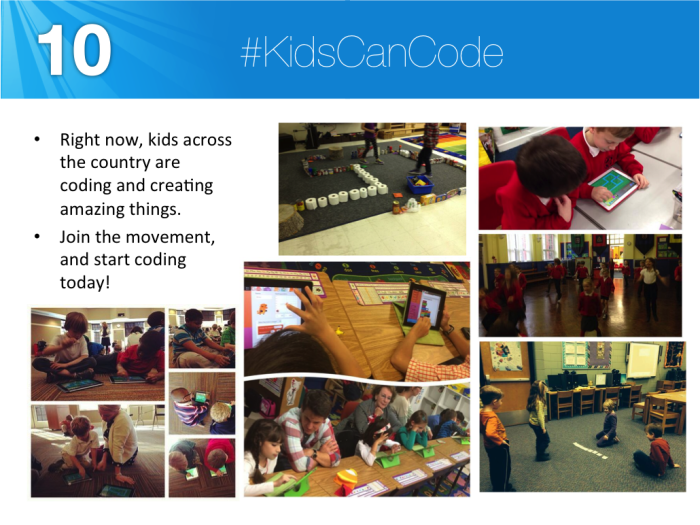 We have a bi-weekly Twitter Chat called #KidsCanCode where you can share or learn from others teaching kids about coding! Learning to code increases the ways in which children can express themselves and pursue their passions. Watch how Miral Kotb worked to create her dream job with code! You can watch her amazing story below. The best time for kids to start coding is now! Let’s create a better world together! Download the Why Programming PowerPoint Here!